I still make both of these dishes on a regular basis- they are definitely summertime favorites in my house! 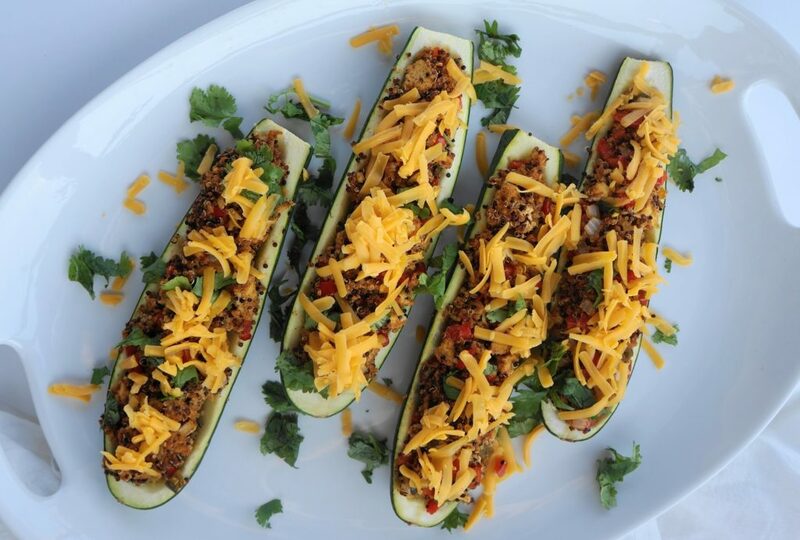 This year, I decided to stuff the zucchini with all the delicious flavors of tacos! 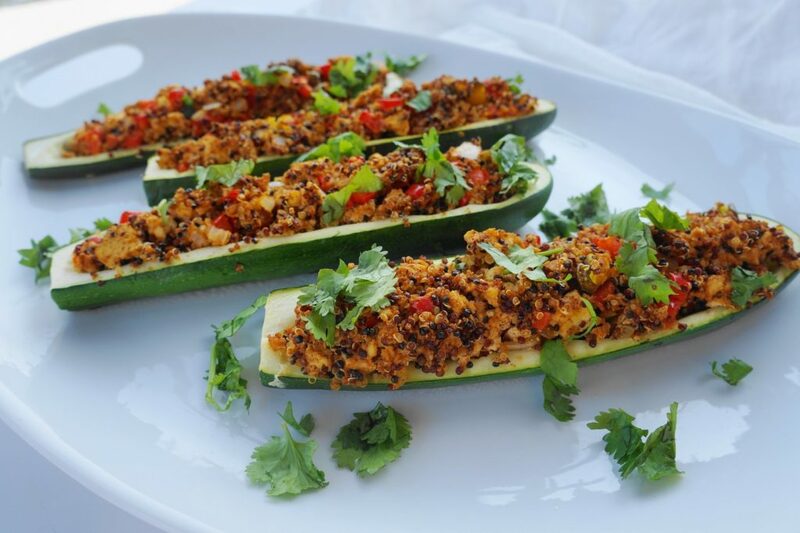 These Taco Zucchini Boats are filled with a combination of tofu, quinoa, peppers, onions, and a variety of spices. This makes them low in calories and fat, but high in protein and flavor! 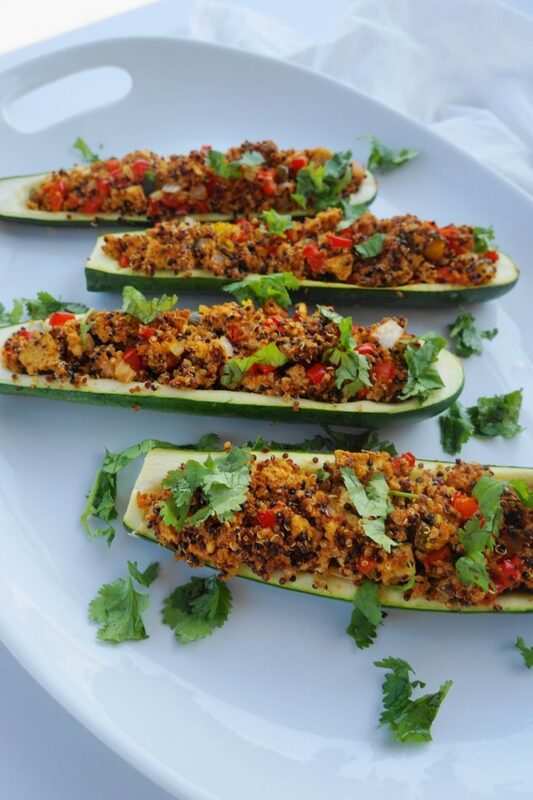 My Taco Zucchini Boats are both gluten free and vegan. If you’re not vegan, feel free to top them with a sprinkle of shredded cheddar cheese or a dollop of plain Greek yogurt. These boats also make really great leftovers. They heat up really well and are perfect to bring to work for lunch. The recipe also doubles easily if you’re cooking for more than two people. 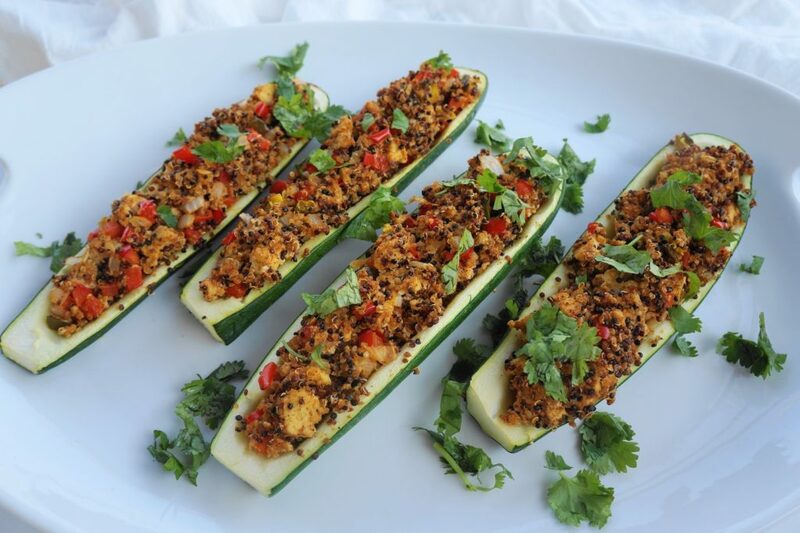 I suggest serving two zucchini halves to each adult and one for each child. If you want to make a side dish, I like making a little Spanish rice to go with. 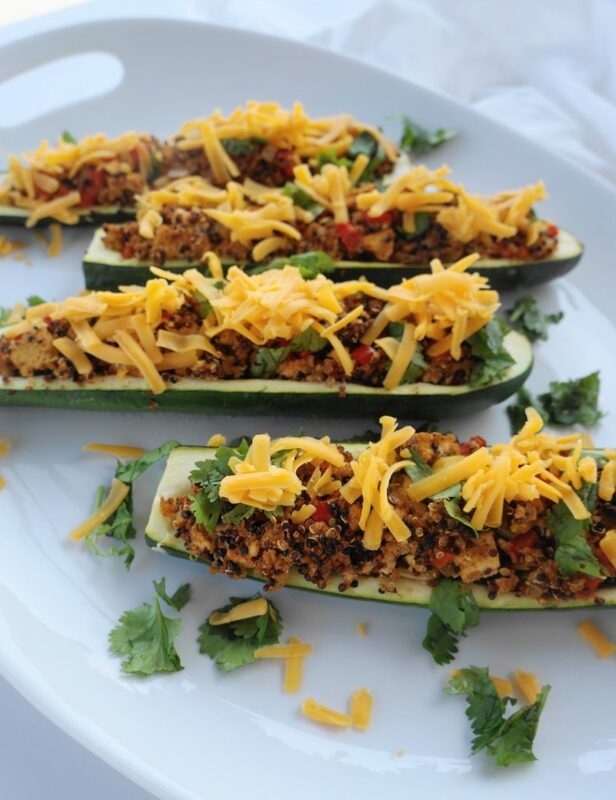 If you make my Taco Zucchini Boats, let me know by leaving a comment! Don’t forget to follow @busygirlhealthyworld on Instagram and Facebook for more healthy eating/living inspiration! Preheat oven to 375 degrees F. Line a baking pan with foil. Cut the zucchini in half lengthwise. Using a spoon or melon baller, scoop out the inside of the zucchini so that the “walls” are about 3/4 of an inch thick. Place on the foil-lined pan and set aside. Heat the olive oil in a skillet over medium-high heat. Add the bell pepper, onions, and jalapeno. Saute for 3-4 minutes, or until slightly softened. Decrease the heat to medium. Drain the water off of the tofu and crumble 6 ounces into the pan with the vegetables using your hands. Break up large pieces with a wooden spoon. Add the quinoa and all of the spices. Stir around to coat all of the tofu. Continue to cook about 2-3 minutes, or until tofu appears slightly browned. Divide the taco mixture between the four zucchini halves. Bake uncovered in the preheated oven for 30 minutes. Top with shredded cheddar cheese, cilantro, salsa and/or a dollop of plain Greek yogurt, if desired.